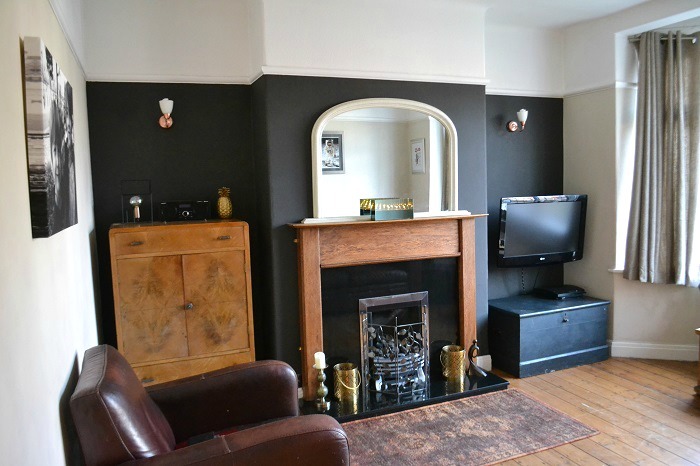 Regular readers may remember that we gave our living room a black feature wall a while back and although I’ve loved it and all its inky blackness, the problem has been with the rest of the walls. 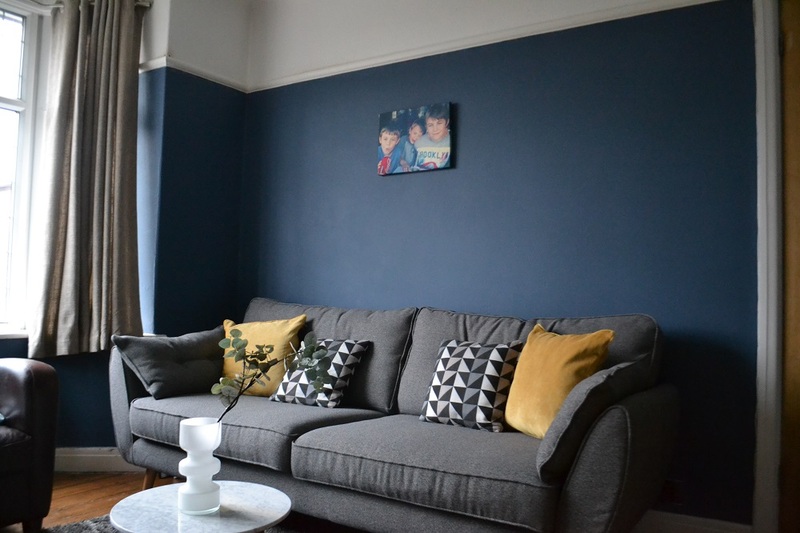 I didn’t feel confident enough – or that I would want to – have black emulsion on all four walls, but living with children and pets means the neutral colour on the other walls just doesn’t stay clean! I’m forever discovering a new dirty smudge to try and remove or paint over. Inspired by the north Norfolk beach where the mud and cockles are this shade of blue, it is a deep hue that looks different in certain lights. In the daylight it is rich and warm (yes, blue can feel warm!) and at night it’s all moody and cosy. 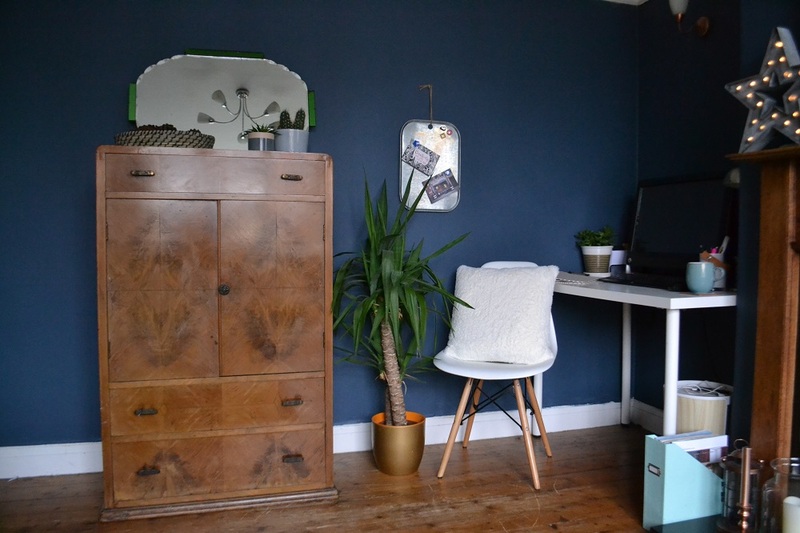 Farrow & Ball paint is a firm favourite with many home enthusiasts and interior design bloggers that I follow, but this was our first time using it. So did it meet expectations? Well, yes. We found it easy to use, the consistency being neither runny nor too thick and the pigment even. 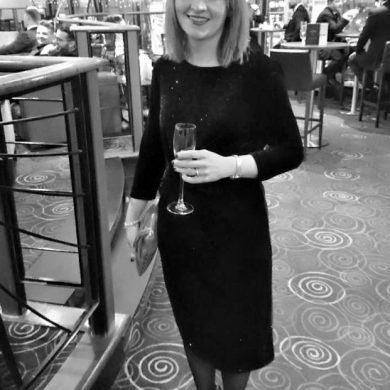 After we rollered on a couple of coats, cutting in around the edges of the room with a small brush, it had worked its magic and transformed the room, giving it not only a new look but a different feel. This particular shade of blue really enhances all the wood we have in our living room, too – it all seems to glow with warmth now. 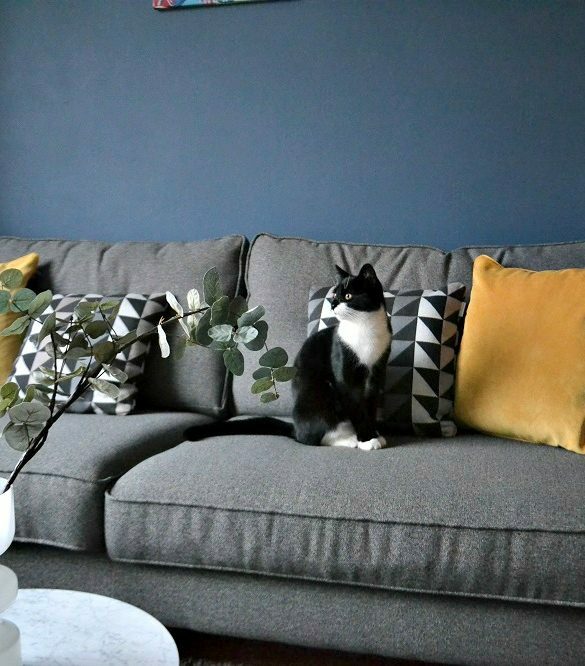 I was finding it difficult to imagine the colour behind our grey sofa, so was happy with the result as I think they partner beautifully. I even felt like an extra pop of colour could be introduced and so when I saw some nice cushions at Matalan recently in gold velour, they seemed ideal. The room isn’t quite finished yet as I will be adding some wall art above the sofa (you can see an update here) and I would really like to change the curtains eventually, perhaps to something with a gold geometric pattern or even go for roman blinds which would probably suit the angled bay window we have. 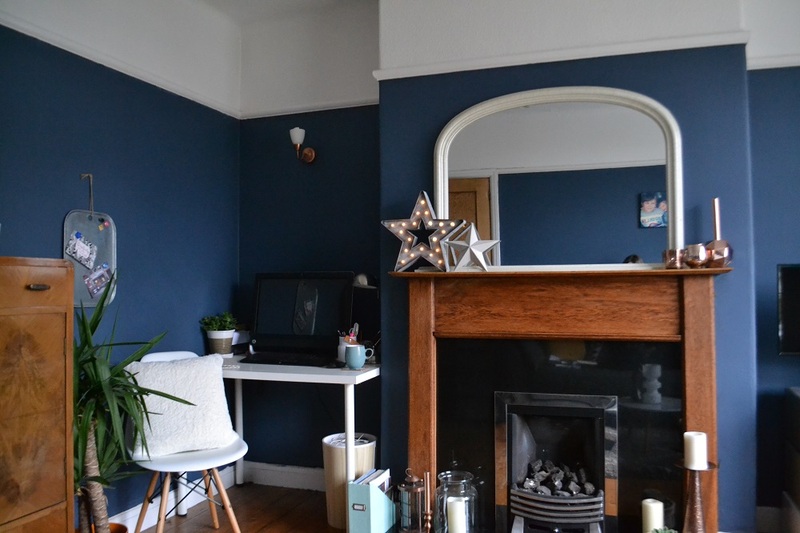 The question in my mind is whether to paint the skirting board and picture rail, either in Stiffkey Blue or a contrasting shade (shown here with woodwork in Brassica). Rather than keep that traditional white. Food for thought! What would you do? Update: You can see a bit more progress with the room here. Fabulous makeover, the blue works so well and I love the addition of the gold cushions. Thanks for sharing and more strengths to your elbows. What a gorgeous colour! Love it. And the gold cushions look fab. Loved the colour and I’m thinking of using it in my bedroom. My conundrum has been the choice of wood for the bedroom furniture. Yours matches perfectly. What wood is that? It looks Walnut ish? Hope you can help. Hi there, thanks – glad you like 🙂 The 1940s cabinet is Walnut, I believe, yes. We have mostly warm wood in the room and I think any mid-toned, rich wood finishes work well with this particular paint colour. I’d recommend taking a look at https://blog.making-spaces.net/ for more rooms with dark walls to give you further inspiration. Your room looks beautiful. 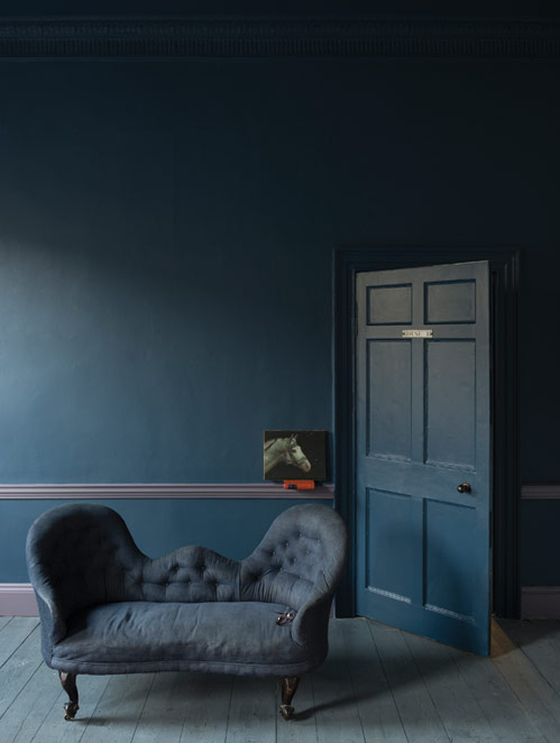 just bought some stiffkey blue and was thinking of a new grey sofa so you’ve solve the problem. The Walmart looks great too. Well done.